Rob waved good bye to Patty as she drove away to the airport to attend a one week conference. Now that she was a prof and he a grad student at Ivy U, they seldom traveled and he knew he was going to miss her. Their twin sons were by his side, tears in their eyes as they saw their mom drive away. Thank goodness Patty’s mom had agreed to stay with them while Patty was gone. What a blessing to have great parents and parents-in-law Rob thought. Rob felt he was a good dad and husband, but it was clear to him that Patty was the anchor of the family. So things just weren’t the same when she was gone. In thinking of her, he had to chuckle a little as he recalled how she sometimes lacked confidence and he had to be there for her in these situations. The most recent time was the night before her first lecture at Ivy U. Rob arrived at his office and worked for a few hours and then, later in the day, he headed to lunch with some of his fellow grad students. Rob was about 10 years older than they were, but, if anything, he looked younger and more fit. This lunch was a bit unusual, as Rob usually ate with Patty and Pete, but Pete was with his new girlfriend, Janis. His little group had decided to take the short walk off campus and go to the Salt Hill Pub. Much of the discussion centered on Rob being a grad student and parent while having a wife who was a professor. All of his grad school friends seemed to be in awe of Patty. Rob found this touching and a little amusing. Just more confirmation that he was a lucky guy. Back at the office Rob was ready to dig into the paper he was writing as part of his thesis. His iPhone 4S buzzed and he saw that Patty had sent a text saying that she had arrived safely. He looked at the iPhone and thought that Apple may be missing a market segment if they don’t make a phone smaller than the iPhone 6 and 6 plus; not everyone wants a big phone. He needed to replace his soon, but was holding back because he wanted something smaller. Rob checked his email and found a note from a colleague regarding an article about graphene as a potential replacement for indium tin oxide (ITO) in flat panel displays. Since this topic was related to his PhD thesis work, he quickly clicked on the link to the article titled, Graphene: Almost The Ideal Replacement For Indium Tin Oxide (ITO). The article contained all the misconceptions about ITO and the reasons it should be replaced. The first being that indium is expensive and scarce, which it isn’t. It then occurred to him that he knew something almost no one else did, that the processed cost of ITO was only about 10% due to indium metal, the remainder being the processing. Another misconception is that ITO is brittle, when in reality ITO can be wrapped around a penny. The article, though, missed a major point about graphene; graphene is not really all that tranparent. In discussions Rob had with David Socha, of Indium Corporation, David explained that, while graphene has the best electrical conductivity, each atomic layer absorbs about 2% of incident light. So, one can see through a few layers of graphene, but it attenuates light quite quickly as layers are added. The very fact that graphene is such a good electrical conductor limits its transparency. 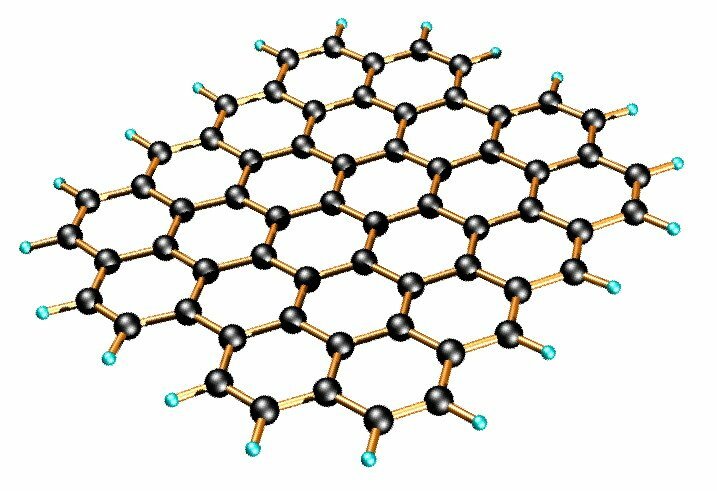 People tend to think of graphene as transparent, but only when considering one atomic layer as shown in the figure below. But, more than one layer is needed if graphene is to be used in flat panel displays as an ITO replacement. These layers quickly make graphene less transparent than ITO. Figure 1. Graphene is the best conductor of electricity, but each layer absorbs about 2% of incident light. To match ITO’s electrical conductivity, multiple layers of graphene are needed. These multiple layers of graphene attenuate too much light and make graphene a poor competitor to ITO for flat panel displays. Source. Subsequent calculations have supported David’s point. These calculations have shown that to have the equivalent electrical conductivity of ITO used in flat panel displays, so many layers of graphene would be needed that graphene would be no better than using gold with regard to light transmission. And no one considers gold a candidate to replace ITO, as a matter of fact, most would consider gold opaque.